Well done and congratulations Michael! 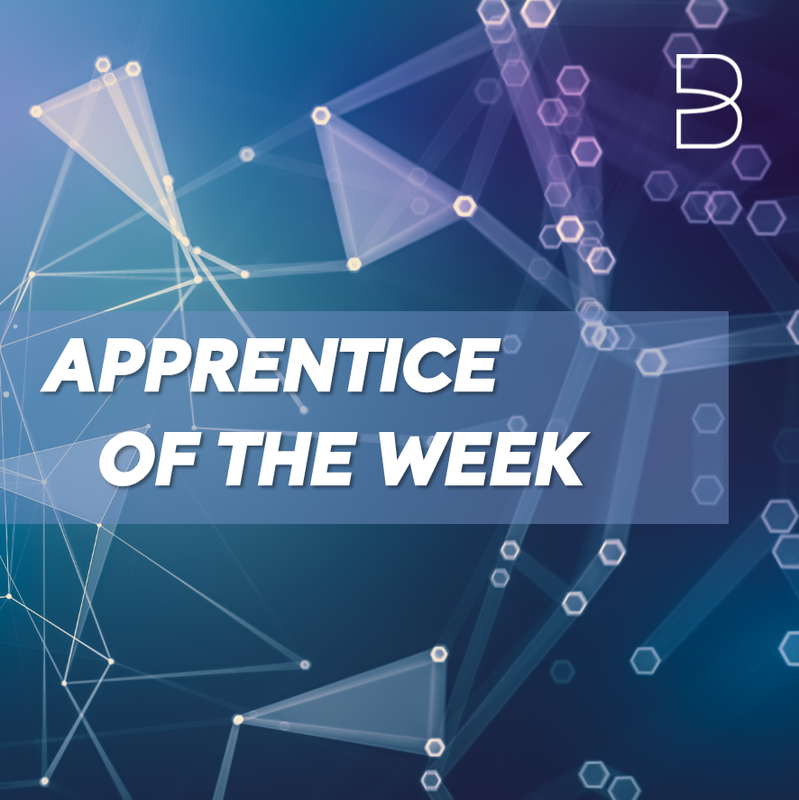 Luke is my Apprentice of the Week, he has been fantastic, always jumping on the microphone asking questions, doing lots of revision and having a great attitude towards learning all week! It really does show how well he has done by getting 90% in both mocks, keep up the great work Luke! Michael was an absolute pleasure to deliver to this week, dedicated, punctual and produced outstanding work. This was my first time delivering to Michael and I must say I was very impressed with him. Michael took an active role in the chat and also offered support to his peers which was great to see, he also produced great notes on the group revision doc. Michael worked through lunch on Wednesday to work on his website to get it perfect - this was great dedication. Michael is a credit to his business and has a bright future ahead of him. There was a very high calibre of students this week, however, Michael has stood out to me and also to his peers for his hard work during the week. Michael is my learner of the week, well done Michael! Andrew was able to show a good understanding of the course. He interacted well with the group not just answering my questions but the MeasureUp questions as well. He was also able to ask relevant questions and was able to achieve good mock score. James has been very proactive this week making full use of the class resources, seeking feedback and been active in all discussion and as such James is my learner of the week. Robert works for RK Wholesale Ltd (RKW) as a 2nd line engineer, slightly older than the rest, spends time on his motorcycle, did a great HTML on it, little programming HTML, CSS, and VB. Good on the chat, used it well and his assignment was excellent, full of detail in it. He will do well in his exams tomorrow. Robert passed the exam with a score of 90% which is excellent. I have made Robert my learner of the week. Luke had another great week with me and he's a very conscientious learner with a fantastic work ethos. Always critical, bit honest, about his own skills and knowledge, he's exactly the kind of person I enjoy delivering to. Never satisfied until his work is of a very high standard, that why Luke is my apprentice of the week. Amelia has been very good this week, all of her activities were completed on time and to a very high standard, she was a willing participant in discussions. She is my Apprentice of the Week.